If you’re someone looking to get straighter teeth without the look of braces, you’re in luck! One of the most effective means of straightening teeth in a non-invasive way is Invisalign. You’ve probably heard of Invisalign, but what is it and how exactly does it work? Is it painful? Where do I go for a consultation? Read on to find out answers to all your burning Invisalign questions! The first step to a beautiful smile is choosing the dentist that’s right for you. That means a comprehensive dentist that is experienced and makes you comfortable. Seeing an Invisalign-trained dentist will give you a better result. Schedule a consultation to get an idea first. After your consultation, your dentist will use a digital scanner to create a 3D image of your mouth and teeth, rather than a physical impression that’s usually done for braces. After imaging, your dentist will be able to tell you how long you’ll need Invisalign for and talk about the finished product. Following your imaging appointment, your dentist will have your custom-aligners made that fit perfectly against your teeth. The aligners are nearly invisible (hence the name, Invisalign). Dentists recommend that you wear your aligners most of the day, aside from taking them out to perform dental hygiene and eat. You will receive different aligners as you make progress towards your ideal smile. Each set will gently guide your teeth into the preferred end-state. Your dentist will ask to see you every six weeks to keep tabs on your progress and make any adjustments that are necessary. Invisalign is significantly more comfortable than traditional braces. Braces typically irritate the inside of your mouth and cause painful chafing. With Invisalign, the aligners are smooth and comfortable all while giving you the desired result. It’s also great for athletes. If your child wears braces, brackets could cut their lip or cheek or provide some discomfort. Braces also make it more difficult to wear a mouthguard and truly protect their teeth from sports-related injury. Maintaining a proper and thorough dental hygiene routine is significantly easier with Invisalign. 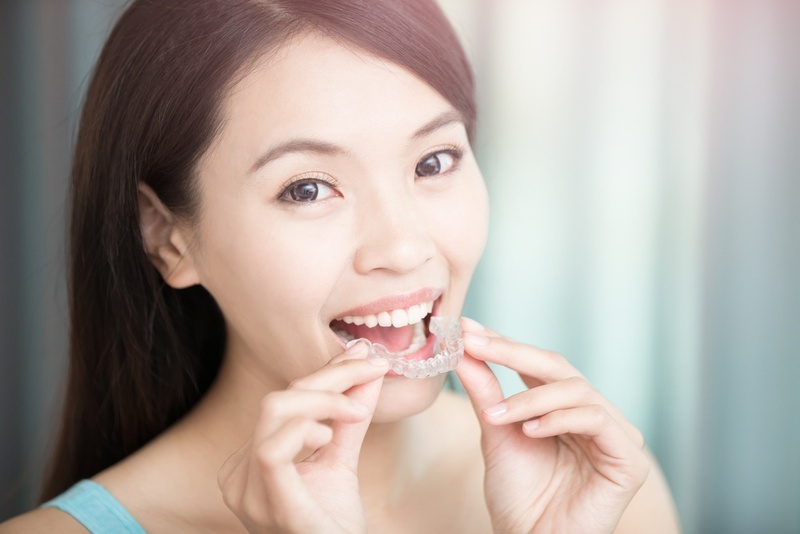 Unlike braces, which require extensive cleaning and hard work to reach the crevices and spaces in between, Invisalign trays can be removed and washed, and your teeth can be cleaned as regular. You won’t need to limit the foods you can eat. Braces prevent you from eating anything sticky, chewy, or too crunchy. Invisalign has no food restrictions—you take the aligners out to eat, which means eating whatever you’d like. Your aligners are worn for a shorter time frame. Braces are worn for about two years, whereas Invisalign is typically worn 9-15 months. If you’re looking to straighten teeth without the long-term commitment to braces, then Invisalign is perfect for you. 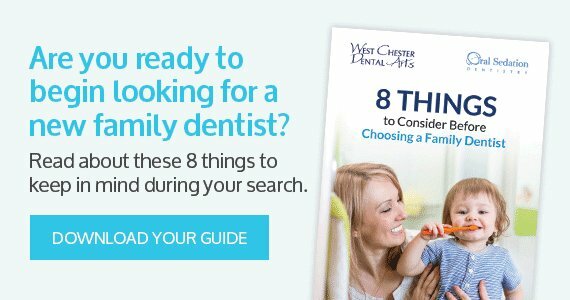 At West Chester Dental Arts, we offer guidance and expert recommendations to help you achieve the best version of your smile—including being experts in Invisalign. Give us a call at 610-696-3371 to schedule your appointment today!